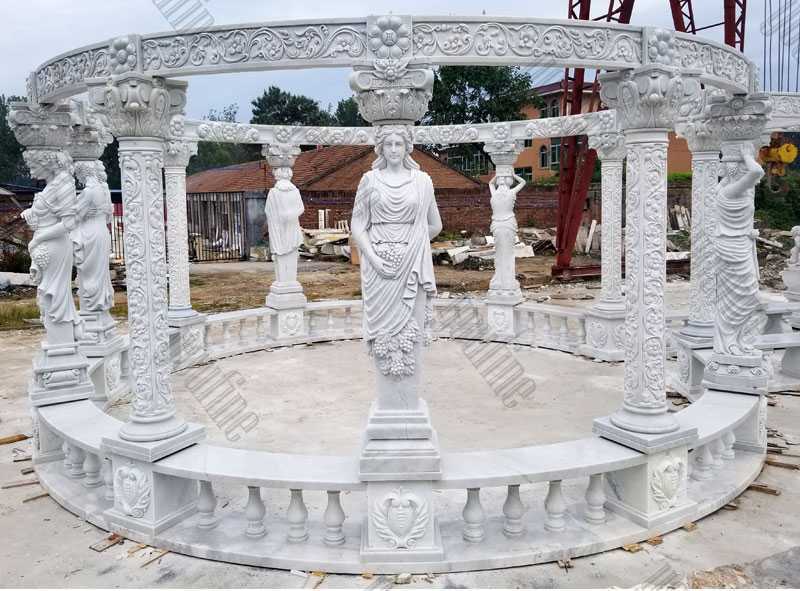 A Luxury White Marble Gazebo is a perfect addition and enhancement for any garden or yard. Offer attractive features and focus, as well as spread the joy, infinitely derived from your outdoor space. You can widen your home’s living space and broaden the enjoyment of outdoor life by three, or four, season of the year. 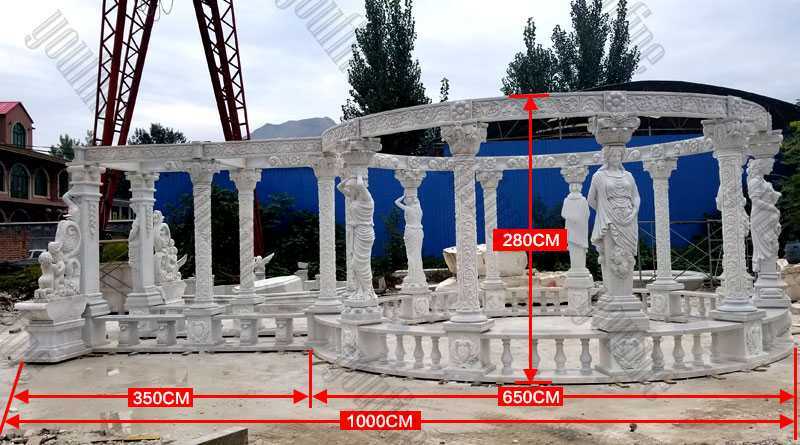 The gazebo is made of natural white marble, it’s total 10m long, 2.8m high. Welcome to contact us if you are interested in it. 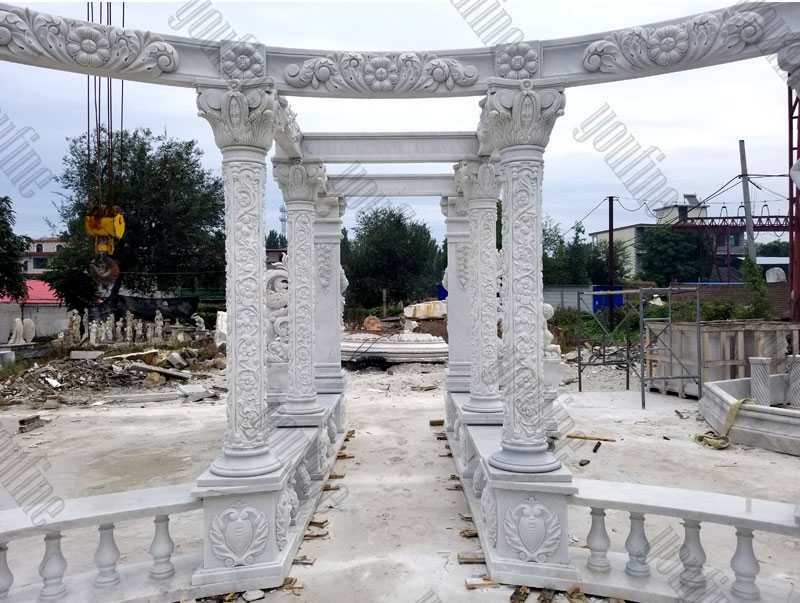 You can love the amount of the backyard by using Luxury White Marble Gazebo. 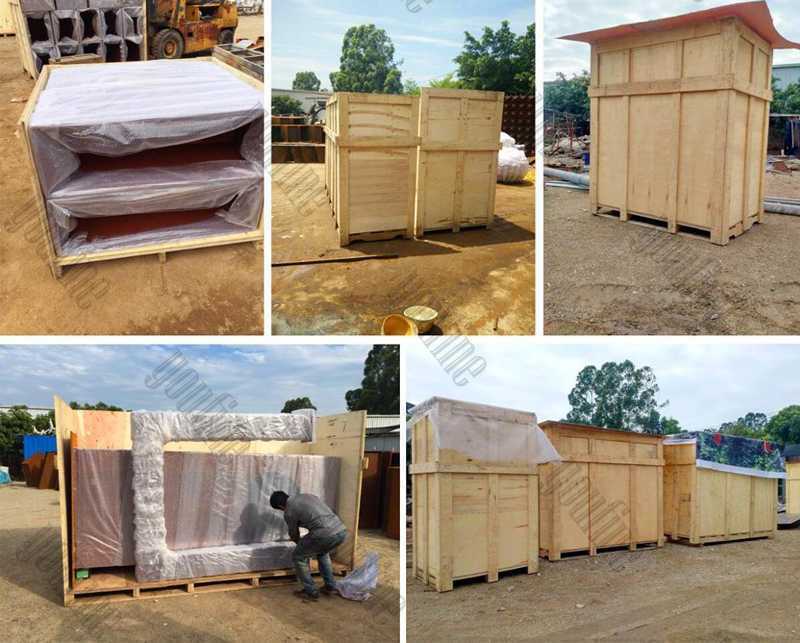 It truly is home furniture produced from very good components for backyard furniture. A lot of people understands this expertly. 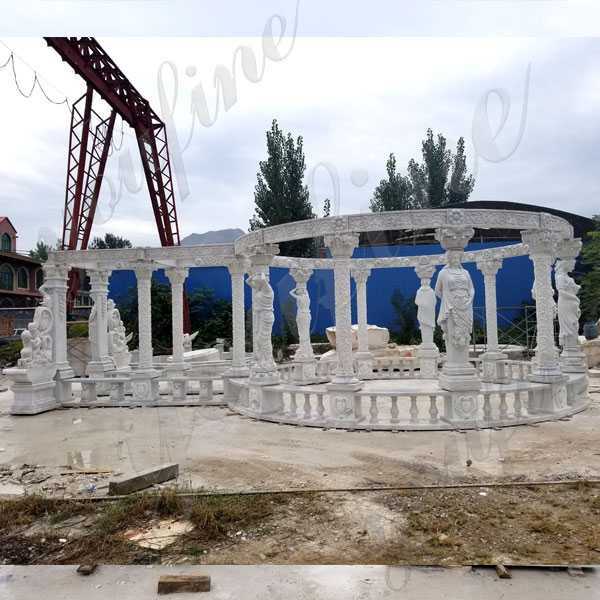 The original gazebo is designed by a famous designer, who comes from India, and he made the design for a royal garden in Thailand, and our You Fine Team manufacture it according to the drawing, the gazebo is placed in the famous garden for many years. 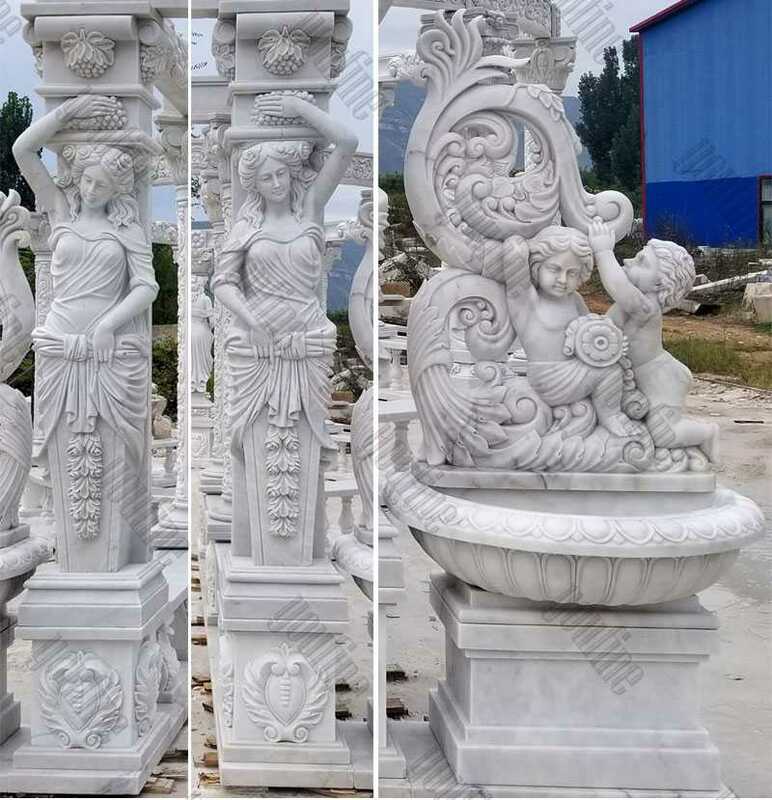 This large marble gazebo is a little different with original design, there are four pair of woman statues, each pair has different style, European style, Egyptian style and modern style, all woman statues modesty, which are customized according to our clients requirements. 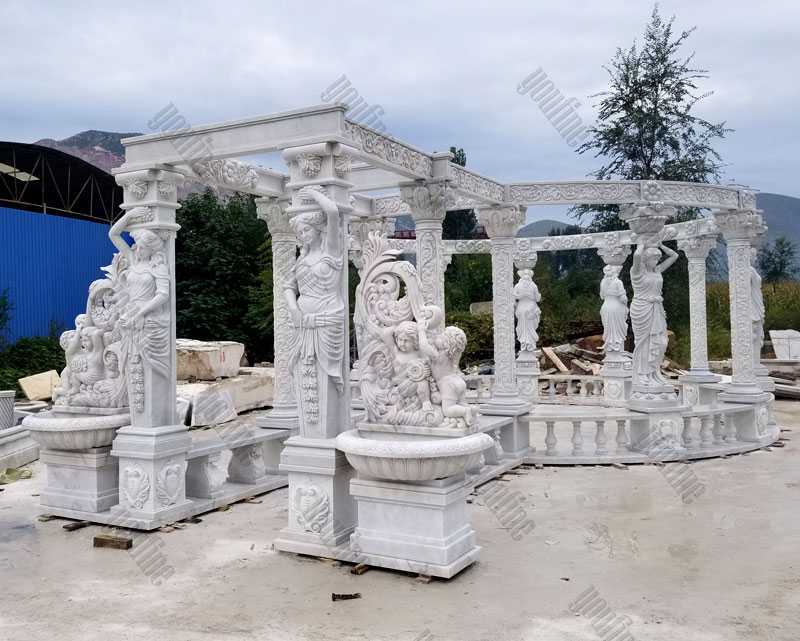 This Luxury White Marble Gazebo will be placed in a residential garden in Salt Lake City in UT, USA, which will attracts lots of tourists after the installation, welcome to visit it if it’s near from you. 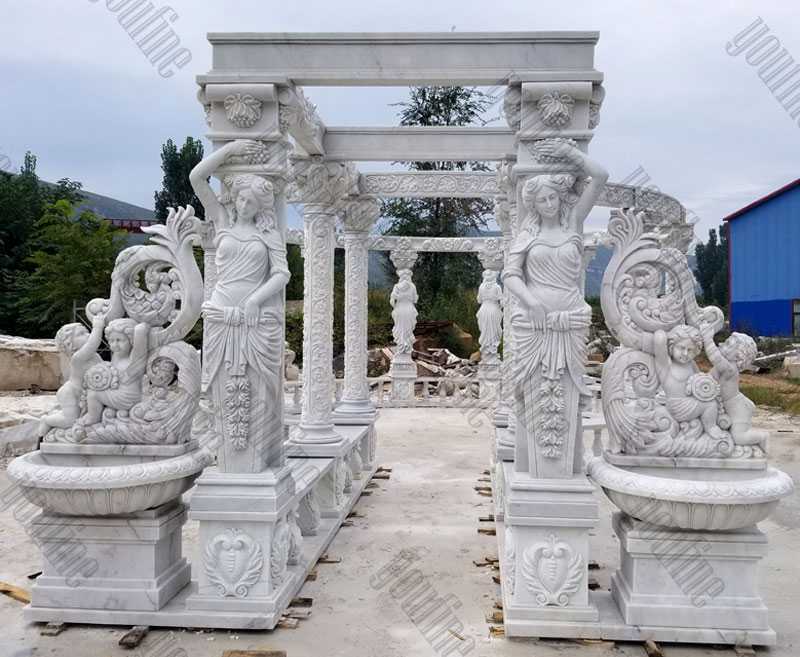 Deciding on a layout correct Luxury White Marble Gazebo is a brief strategy to help your house be look much better. Having a gorgeous backyard garden watch and complete household furniture, you could consume a long time and for a longer period to spend time taking pleasure in the natural setting on your house backyard. The garden is actually an attractive spot in the house. When you have a backyard with either small or large measure, the garden may have a nice impact to enhance the look of your home. You will see shades of green on your home page and you will have a great view with fresh air while you look at the new scenery and comfort in your home. Sometimes people need time to appreciate the flake settings and fresh settings, and the house backyard is definitely the right point. 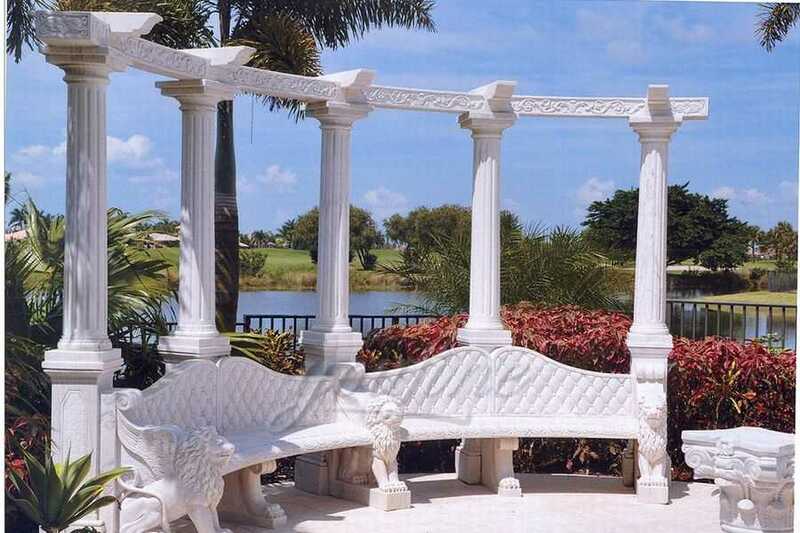 Home yard furniture made from a great product including a Luxury White Marble Gazebo may be among the possibilities that you can make your backyard much more spectacular. The backyard is really a gorgeous area for home. If you have a garden with both a small or large measurement, the yard might have an excellent result to embellish the design of your house. 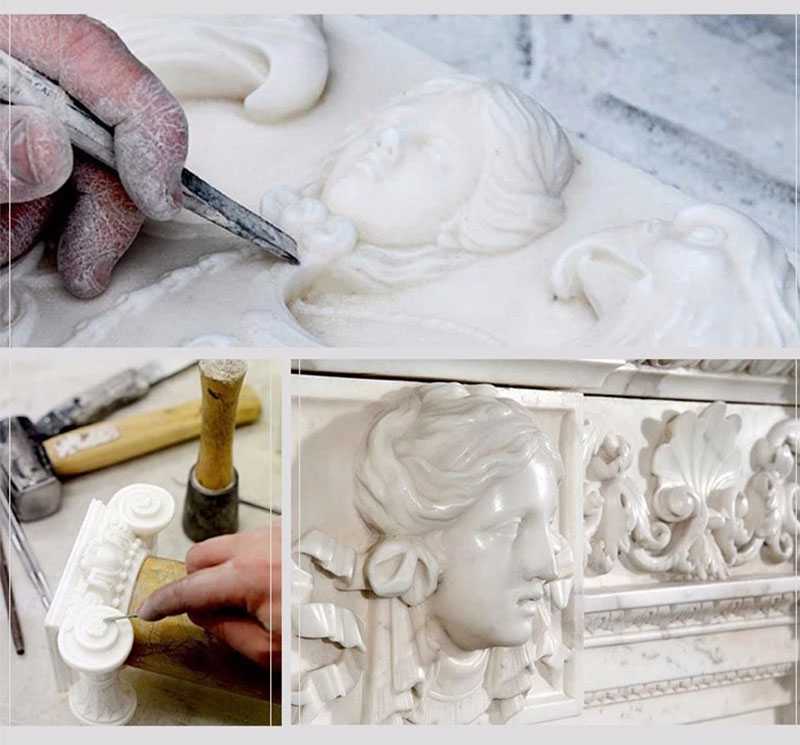 You can see the green tones on your home page, you can see the fresh surroundings, receive fresh air and delightful surroundings although comforting in your home. 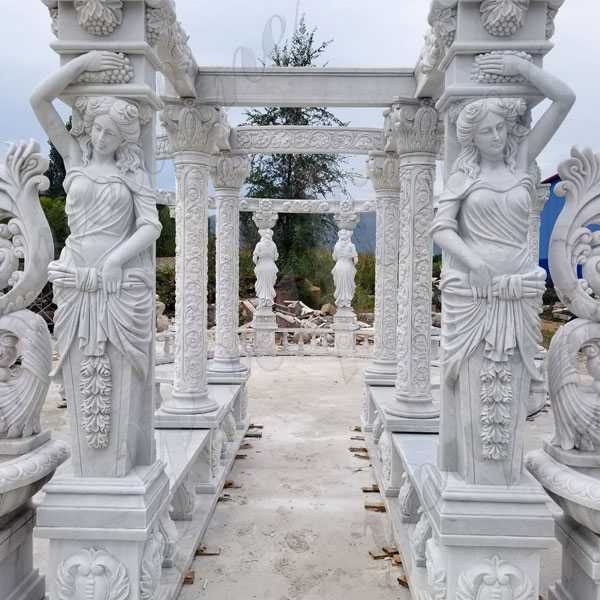 Together with Luxury White Marble Gazebo, involving the piece of furniture for the durable garden, metal furniture is home furniture produced from materials which are superior to many other materials as well as tangible or maybe timber. Precious metal furniture has become a different kind of package, so it is as appealing as your garden looks. This furniture form is stunning and vibrant and is the correct coloring option for outdoor furniture interiors. 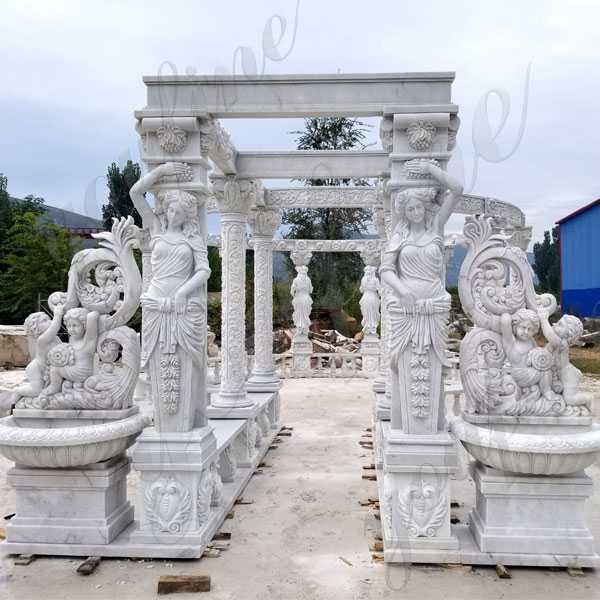 Therefore, further they claim some of the metal furniture can complement the observatory of a particular marble garden as the furniture of your home patio. 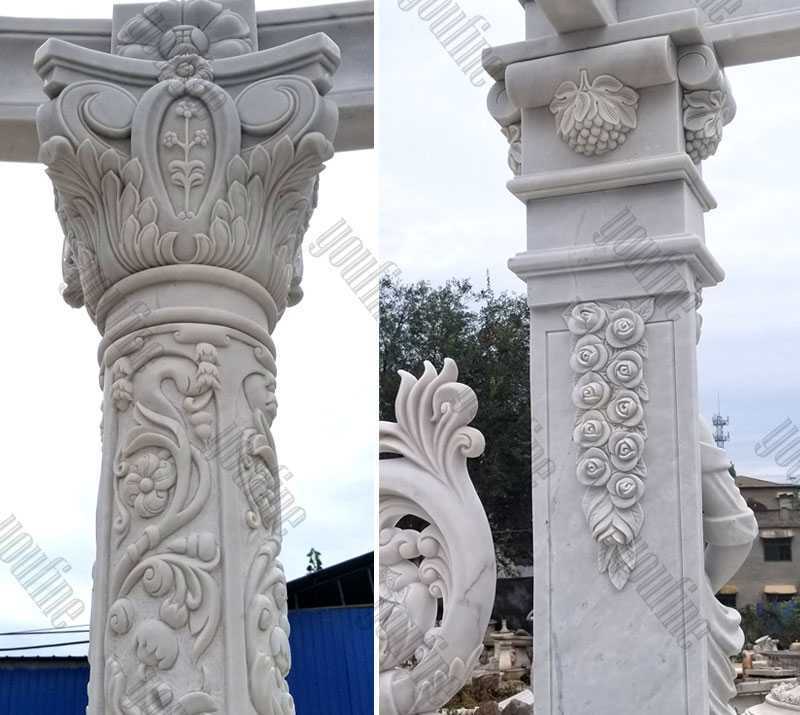 Marble is usually a powerful and durable material for external applications. Furniture items can withstand rainwater, wet, cold and warm situations. 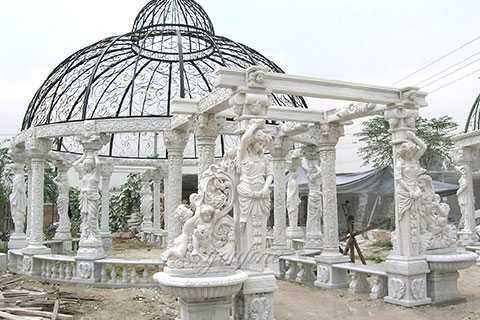 Decide what gazebo will be a difficult option to choose from and many things on the market will take time, of course. Luckily, there are a lot of help and advice when choosing the best structure for you and your garden. 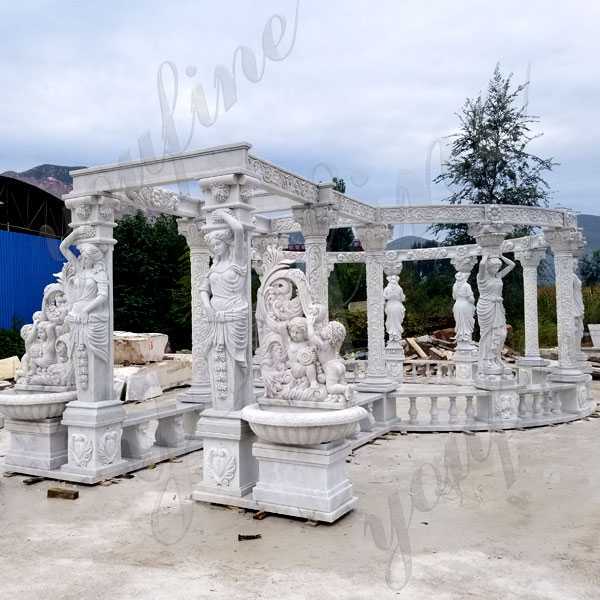 So if you have some requirement about Luxury White Marble Gazebo ,or want to other garden furniture in marble,this is the right place to choice from !